University of Cebu’s winning streak continues as they were named National Champion of the Food Category and 1st runner up of the Non-Food Category in the 2012 Philippine Chamber of Commerce and Industry (PCCI) 6th Best Business Idea and Development (BIDA) Award. 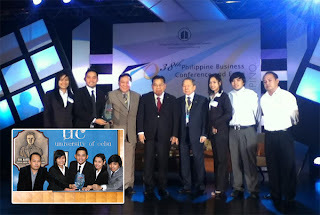 The presentation and defense of their proposal was held last October 3, 2012 at the PCCI Boardroom, Mckinley Hill, Bonifacio Global City and awarding was held this October 10, 2012, Manila Hotel during the 38th Philippine Business Conference. The UC Team, which hails from the University of Cebu – Banilad Campus, comprised of students Jezreel Ezer Archival BSBA 4, Sheryl Benitez BSA 4, Marrise Tumampos BSAcT 3, Wilheim De Leon BSA 3 with Coach Mr. Christopher Biore, CPA. 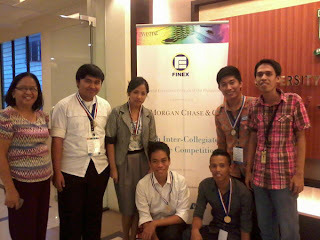 UC was the only team that sent two proposed projects with both making it to the top ten in their respective categories. The projects were “Fully Loaded Hanging Rice” for the food category that integrated culture, tradition and tourism and “Mango Seed Kernel Oil” for the non-food category. 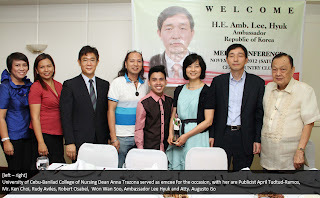 Biore added that the UC administration was very supportive, shouldering everything before and during the trip to Manila. This is their second time as national champion in the food category, after they won it first in 2008 and their first time to participate and win in the non-food category. There were a total of 34 universities and colleges all over the Philippines who made it to the final judging with the University of Cebu – Banilad being the lone representative of the Visayas Region in both Food and Non-Food Categories. The University of Cebu Maritime Education Training Center (UC-METC) got the nod from officials of the Panama Maritime Authority (PMA). Panama certification requires various steps including the recognition audit of the Maritime Training Center, which is done every two years. UC-METC currently has 30 maritime upgrading courses accredited by PMA. Four new courses were also recognized – Maritime Pollution III-V, Maritime Pollution I-VI (consolidated), Medical Care and Electronic Chart Display and Information System. Maritime Training Department Deputy Engr. Cecilia Hernandez, Maritime Training Department Head Ms. Joanna Rodriguez, Maritime Training Department Assistant to the Head Ms. Yennifer Peña and Universidad Maritama Internacional de Panama and Universidad Tecnologica de Panama Professor and former PMA Ports Compliance Officer Engr. Roberto Pineda were in UC-METC to conduct the quality audit. 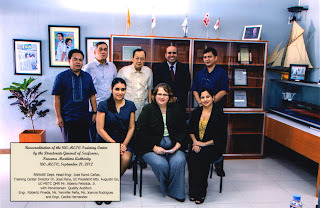 An evaluation of the training programs by the Consulate of the Republic of Panama in Manila were also part of the renewal procedure as well as the documentation requirements that scrutinize the credentials and course materials of the instructors to make sure it abides by their established standards. Only seafarers who obtained trainings from Panama-recognized maritime training centers can go on board Panamanian vessels. Panamanian ship owners and manning agencies handling Panamanian vessels refer to a list of PMA-recognized training centers provided by the Consulate of the Republic of Panama before accepting new crew members and ship officers. As of 2003, one-third of the registered Panamanian ships were manned by Filipino seafarers. In 2010, the Philippine Overseas Employment Administration recorded 339,608 officers and non-marine Filipino seafarers who worked aboard foreign vessels. Within that year, Panama registered ships ranked highest in terms of employing Filipinos on board with 66,523 registered seafarers. The UC administration headed by President Atty. 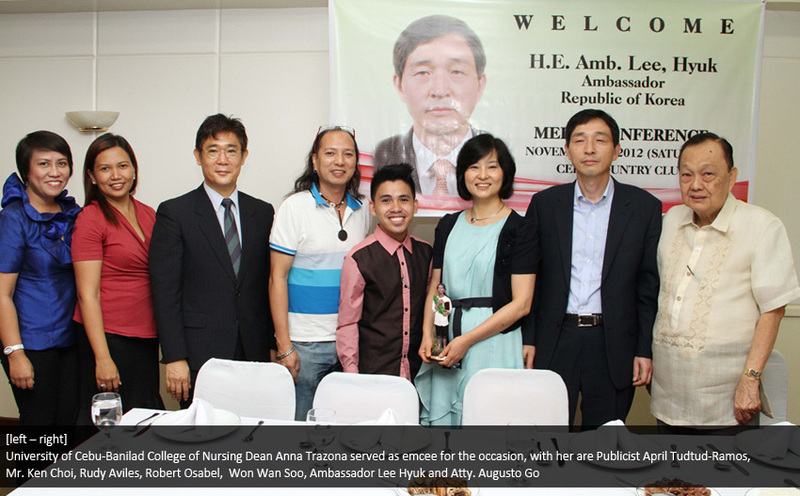 Augusto W. Go and Chancellor Ms. Candice G. Gotianuy understand the need of Filipino seafarers to be globally competitive. Thus, UC-METC continues its practice of offering established quality education and training.